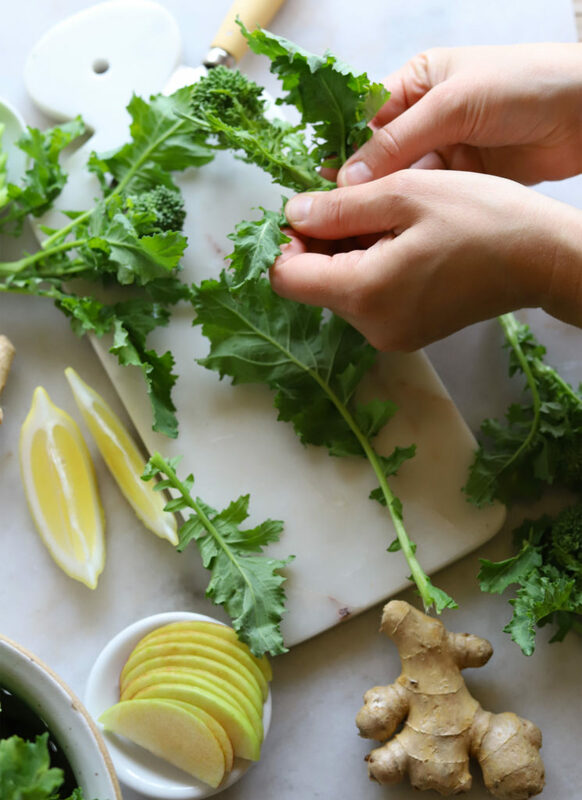 Broccoli Rabe Recovery Juice is just right for “recovering” from those days when you feel you’ve overindulged. 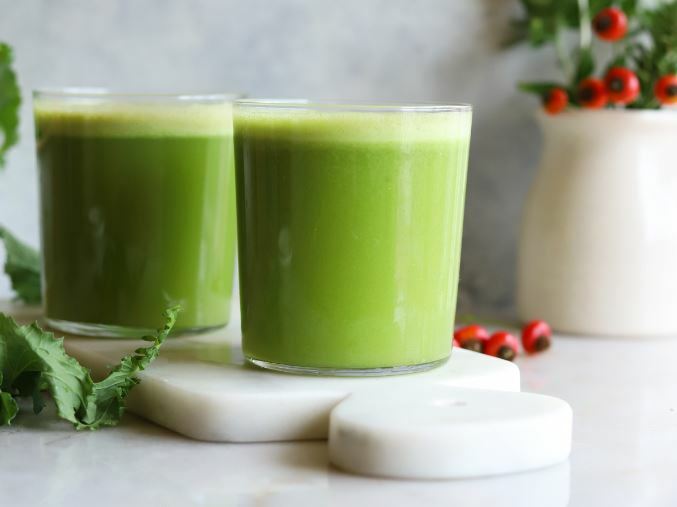 Packed with detoxifying broccoli rabe, this juice gives your body the “oomph” it needs to get going again. 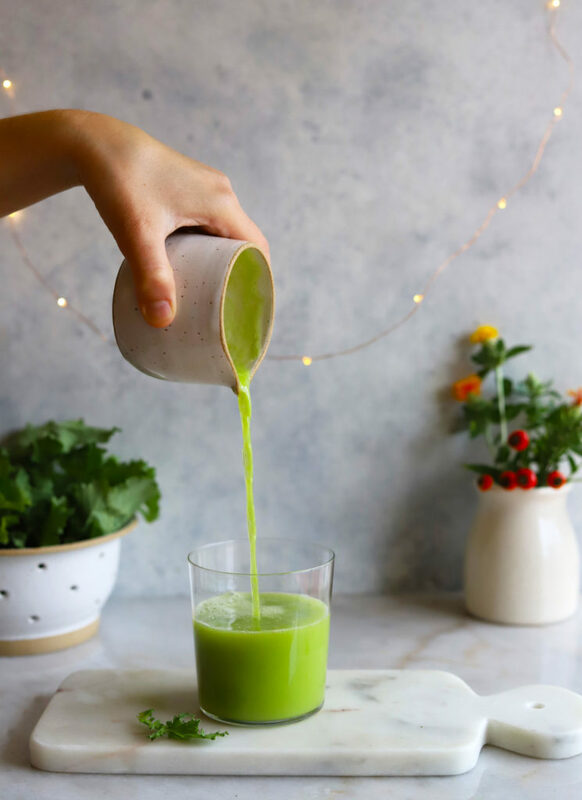 Brimming with vitamins C and K, as well as hydrating cucumber and tummy soothing ginger, this restorative juice is naturally vegan and gluten-free. Shannon Summers, a master certified health education specialist (MCHES) with a M.Ed. in health education, as well as a B.S. 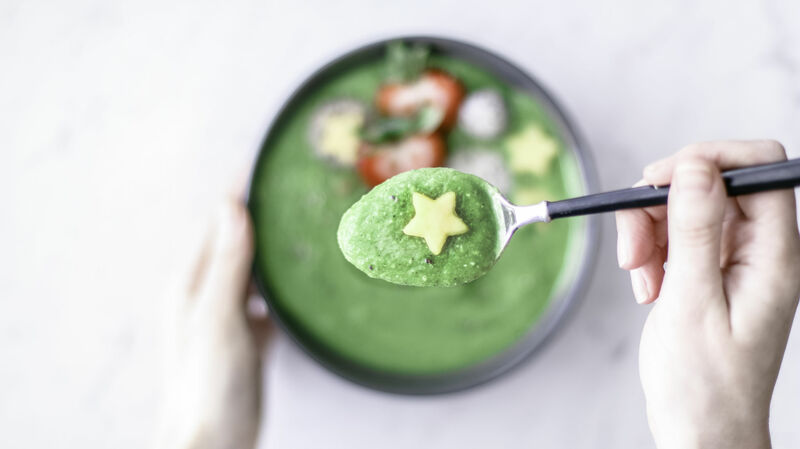 in nutritional science, believes that better health starts with a few simple steps, like integrating more plant-based foods into your diet. The voice behind Homegrown Provisions, Shannon and her family live and work on a lavender farm in western Washington. 1. Cut the apple and cucumber into medium-sized pieces. 2. Add some of the apple to the juicer first. Then add the broccoli rabe leaves, followed by the cucumber pieces, ginger, more apple and lemon (until all of the produce has been juiced). 3. Stir in a pinch of sea salt and sip! Broccoli Rabe Recovery Juice is best enjoyed straight away. 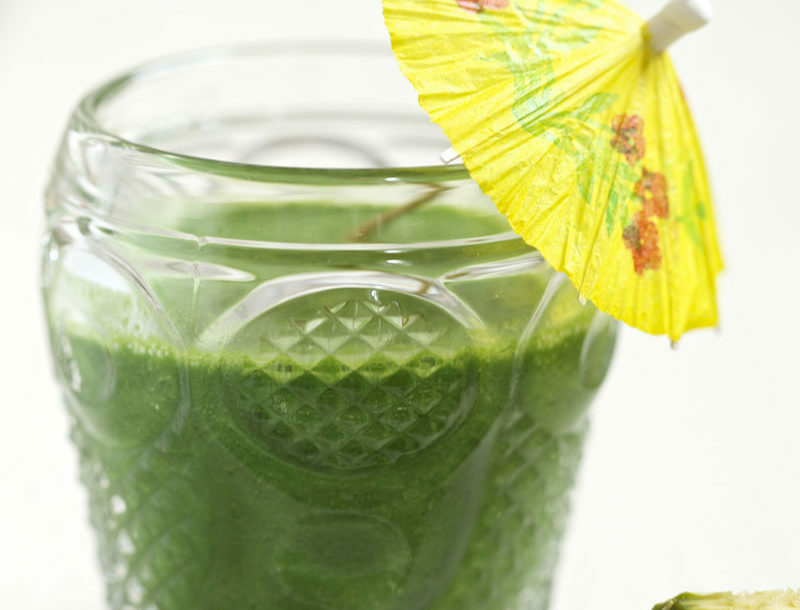 A centrifugal juicer was used for this recipe. 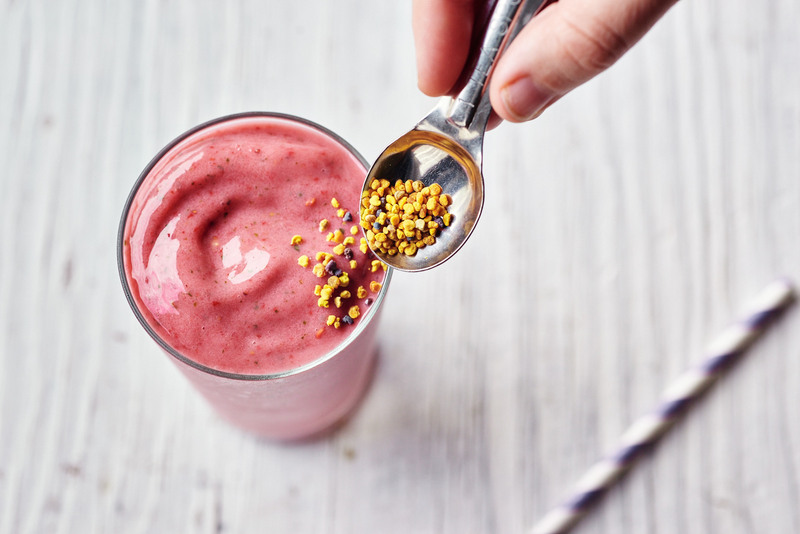 A masticating or cold-pressed juicer should work analogously. 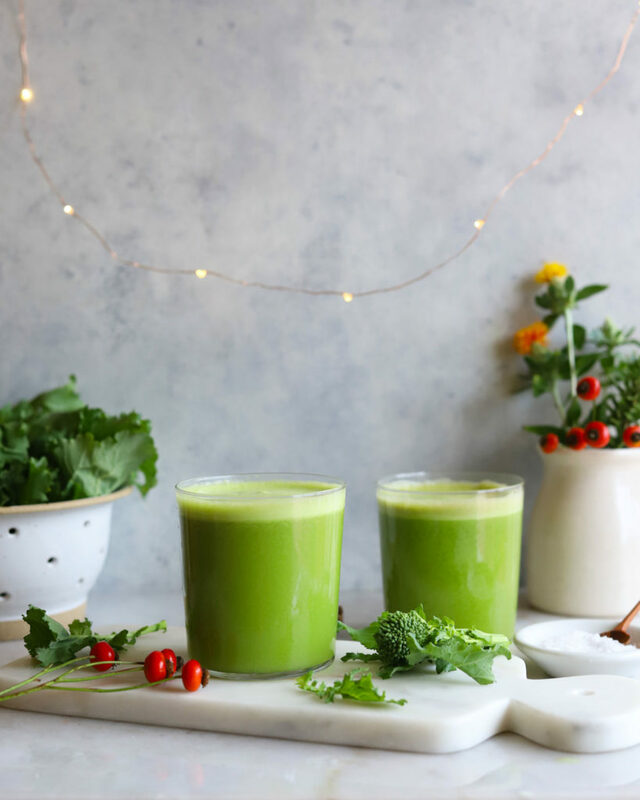 If you’d like to make your Broccoli Rabe Recovery Juice using a powerful high-speed blender, you may wish to add a splash of water to get things moving initially. After juicing, strain any fiber/pulp through a mesh strainer, nut milk bag or cheesecloth to achieve your desired consistency.